Lisa Baraitser – resident and Co-founder – and Ken Rorrison from Architects, Henley Halebrown and Rorrison on award winning Copper Lane Co-Housing project. Cany Ash of AshSakula on their low cost self build LightBox House and other projects. John Broome – Pioneering self-build and community architect and founding member of Architype, the influential sustainable architectural practice. Trygve Ohren of Nøysom arkitekter on their self build Svartlamon Housing project, Trondheim, Norway. Frances Holliss – Architect and researcher on live-work design in buildings and author of Beyond Live/Work: The Architecture of Home-Based Work. If you wish to reserve a place for the Symposium please make your donation here, and email us at info@makinglewes.org to confirm your attendance. Rethinking Housing Exhibition & Symposium is part of Make Lewes Festival 2015. Rethinking Housing Exhibition & Symposium is supported by Lewes Town Council. Open Source Architecture is a growing approach for designing buildings, where the design tools, plans and other materials are freely available, so that anyone can use them, rather than protected as copyrighted intellectual property. Generally viewed as the architectural version of open source computing, and as analogous to hardware and software designed to be openly accessible and can be used by anyone. Cooking is often used as an example of one of the earliest forms of open source activities, a menu which anyone can cook from, share and change ingredients with anyone across space and time. Like open source computing anyone, can add, adapt and rework designs which, again, can be used by anyone else. Open Source Architecture is being driven by a current, younger generation of designers, who see it as a part of a wider technologically informed tool-kit, enabling customised designs to happen on or close to a site. The new generation of tools include CNC routers, FABlabs and the internet of things. Some believe it is a part of a new ‘emerging paradigm.’ Of course, the arrival of the computer didn’t inaugurate openly accessible architectural design. Vernacular architecture is cited as the original open source architecture, with menus for designing buildings passed on from generation to generation, adapted, improved and updated as types are tried and worked on. A good example of an architect developing a design and detailing system and making it available to all is what’s called the Segal Self-Build Method, named after Walter Segal, the community architect. Here are a few examples of how Open Source architecture is growing through the Internet. Walter Segal, a German émigré architect who settled in Britain, developed the Segal Method of timber construction to help enable cheap timber buildings to be constructed by non-professional self builders. The early projects were mainly in Lewisham, South London and the Walter Segal Self Build Trust continues to promote the approach to the public. A number of projects can be found on their website here. Svartlamon is a district in Norway’s second city, Trondheim. Squatted and lived in by a mixture of punks and alternative lifestyle greens, the Svartlamon community initiated an architectural programme in the early 2000’s involving local Trondheim architecture students, Geir Brendeland and Olav Kristofferson, to design a student housing block within the Svartlamon district. The resulting Svartlamoen four-storey timber student-housing block became a highly popular and influential contemporary timber building in the late 2000’s within the international sustainable architecture world. 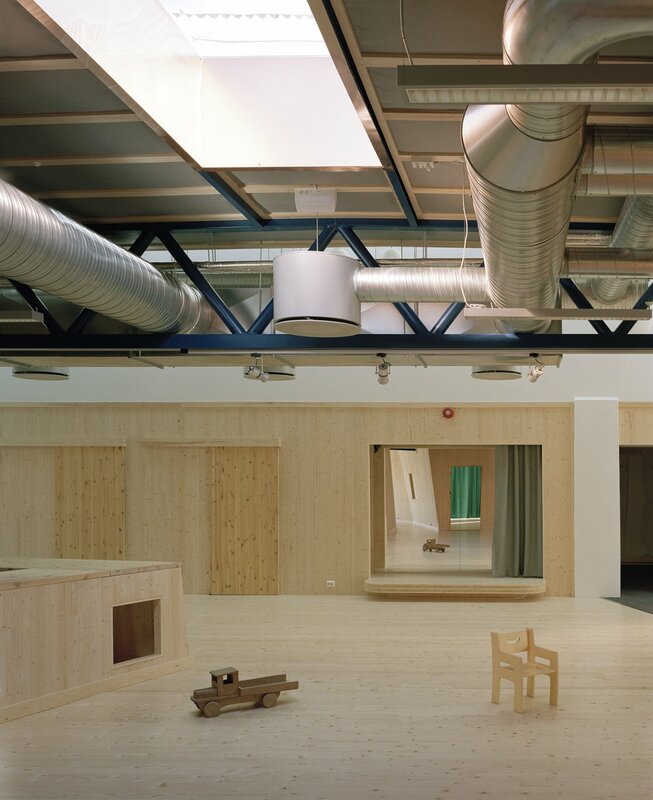 The community has since continued with several further re-build projects, including a kindergarten built and designed within an old motor showroom http://www.bkark.no/projects/svartlamoen-nursery, a recording studio and flats for musicians to stay in while recording and a pioneering recycling culture education centre. More recently Husly, a house made completely from wood pallets, was completed. Further alternative housing projects continue this marriage of alt.culture and architectural adventurism. For its advocates Svartlamon demonstrates the marriage of alternative culture and forward-looking architectural vision integrating the built environment in ways, which work with, rather than replacing local communities.